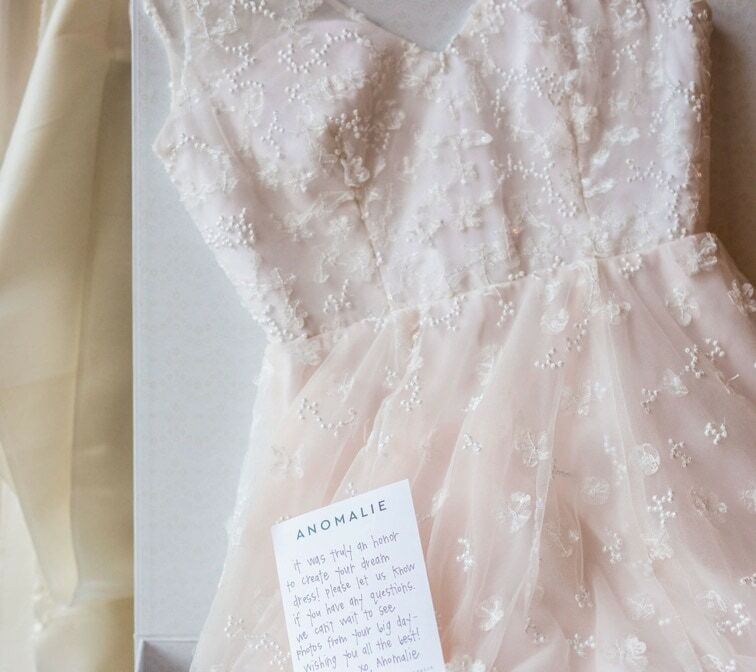 Olivia has gifted you $100 towards your custom Anomalie wedding gown! To redeem, sign up and get started with your bridal style quiz. A quick 15-minute call for you to learn about the dress creation process and understand the timeline with your wedding date. 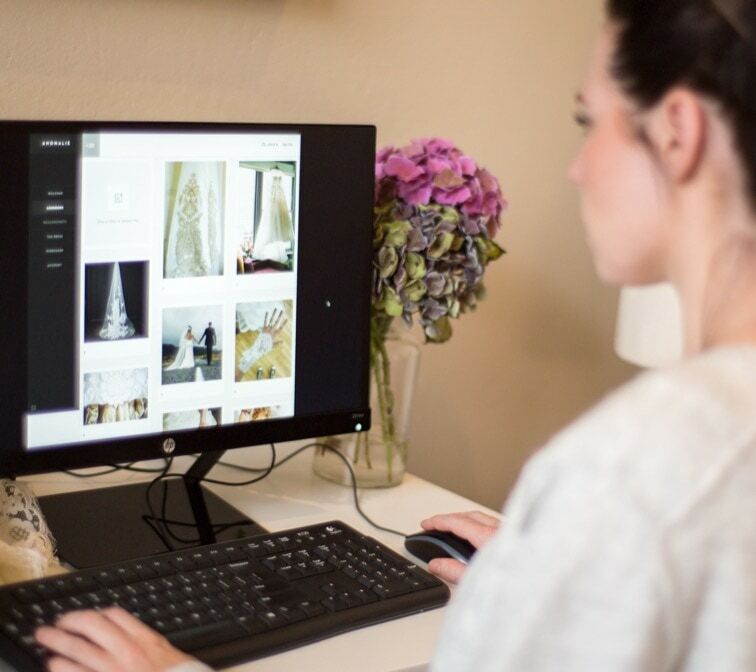 Review inspiration photos you’ve uploaded to your lookbook and discuss your wedding dress vision with your stylist. Plan for this call to take 30 minutes to an hour. Receive a custom sketch of your dream dress. We’ll send you fabric samples and provide lace and/or beading via your dashboard. You’ll confirm the neckline, silhouette, and dress finishes. 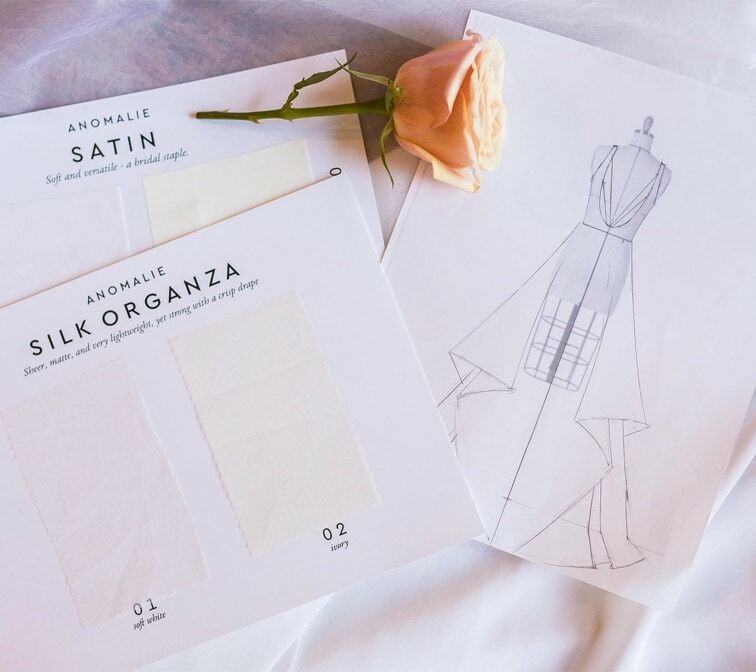 Each Anomalie gown is custom made to order to your measurements. We’ll send you a measuring tape and ‘how-to-measure’ instructions are accessible on your dashboard. Sign off on your Design Summary before your designer sends your dress to the workroom! Allow 4 months* for creation of your wedding dress. Your designer will follow up on when you will receive your gown. Your wedding dress is here, and you designed it! Finally, your “Say Yes to the Dress” moment has arrived! You should anticipate needing some alterations once you receive your dress. ** Our talented team is here to consult with you and your tailor regarding any questions or alteration needs. Our north star is a happy bride. We offer a 100% refund policy if you don’t absolutely love your dress.